Socket Countersunk screws are utilized to fasten an object inside or against another objective, for example joining a gear to a shaft. Moreover, rather than binding materials together via threads, a set screw applies pressure at the tip to anchor objects in a set position. Socket Countersunk screws are available in various styles with its own cons and pros. 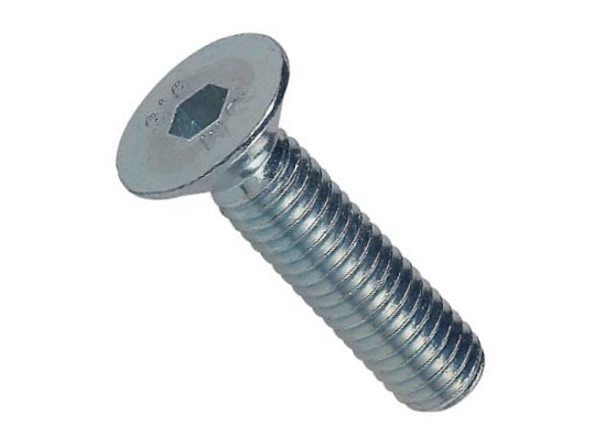 These screws are available in a full range according to the standard format like ASTM/ANSI/DIN. We are the largest distributor of Socket Countersunk Screw available in each grade and every size at a price you can afford. These screws require less maintenance and deliver quality service for a long period of time. JF Engineering is the major Organization in offering Socket Countersunk Screw Fastener to the clients. It is manufactured by utilizing the supreme quality material under the supervision of experienced team according to the national and international market standards. This product is stringently checked by the quality auditors on well defined parameters available at various grades and materials.